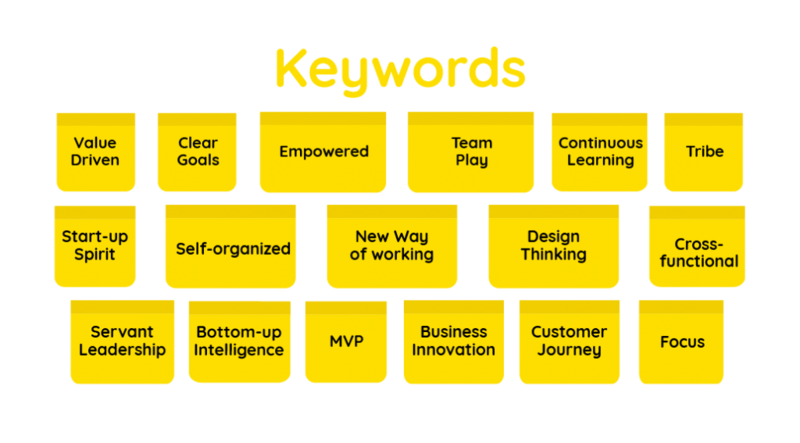 Increasing the effectiveness and success of a business domain in a competitive environment by alternative new ways of doing to enhance digitalization strategy triggered by agility culture values, principles and practices. Many organizations are struggling with digitalization and agility in today’s volatile, unpredictive and competitive market. 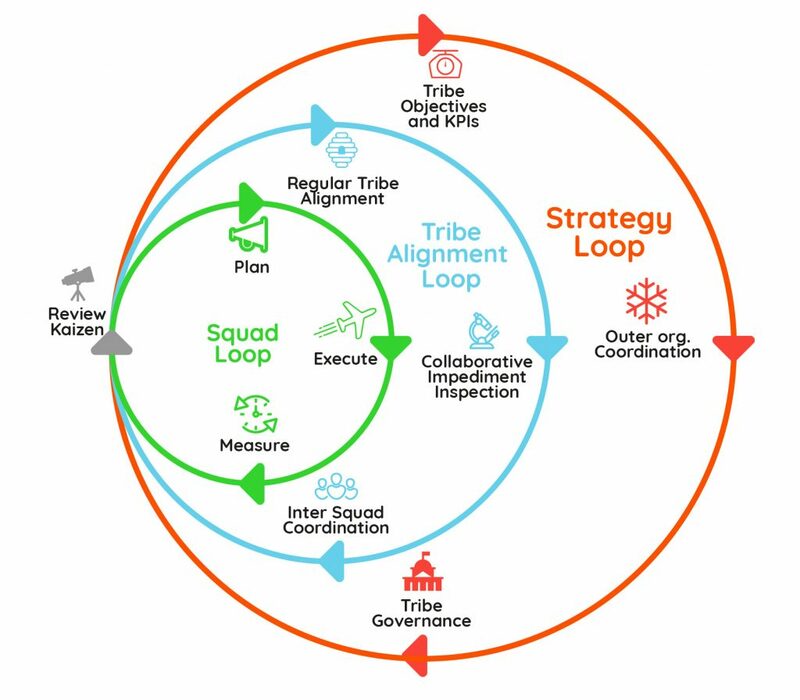 Those two initiatives are highly connected to each other where agility brings a “new way of doing” for faster time to market, faster customer feedback, robust risk and opportunity control via short iterations, experimentation, cross-functional, self-steering Squads. 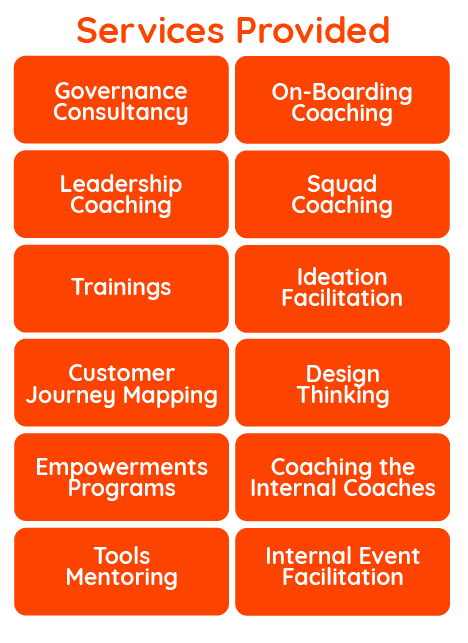 Although this new culture has roots in the IT domain, digitalization requires extensive business existence and commitment. 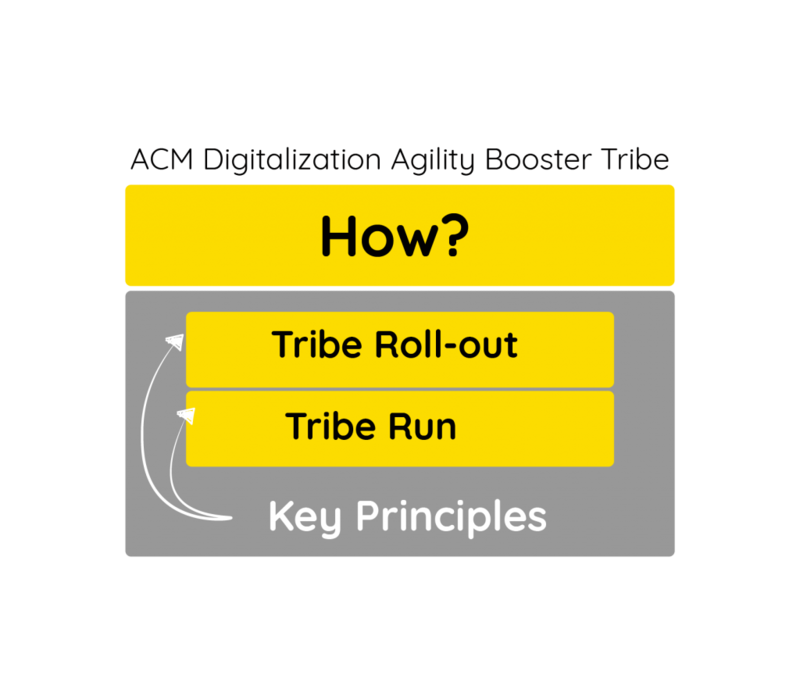 This creates the essence of a new collaboration culture among the dependent units across the organizations. Even though this new concept of cross-functionality is well understood, adoption of the new way of working requires support and experience. 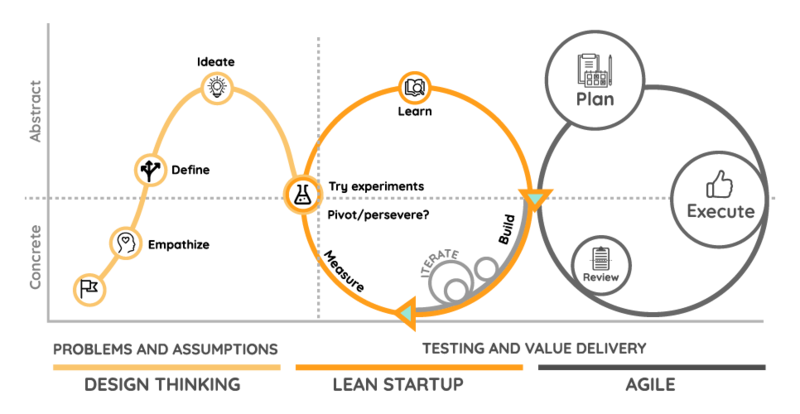 Digitalization Agility Booster Program is designed for organizations that has challenging business and digitalization goals for specific business problems. A bank trying to increase its market share in a specific domain: SME Credits , POS delivery time, Digitalize specific branch operations, increase mobile app usage etc. 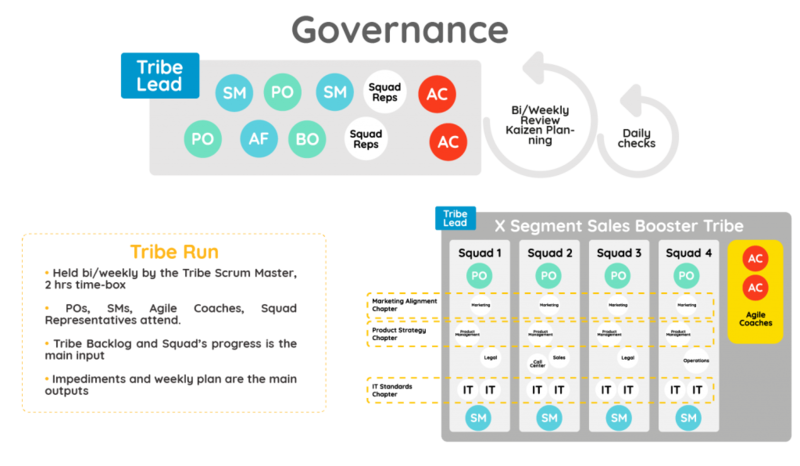 A automotive company trying to digitalize it’s sales and delivery process. 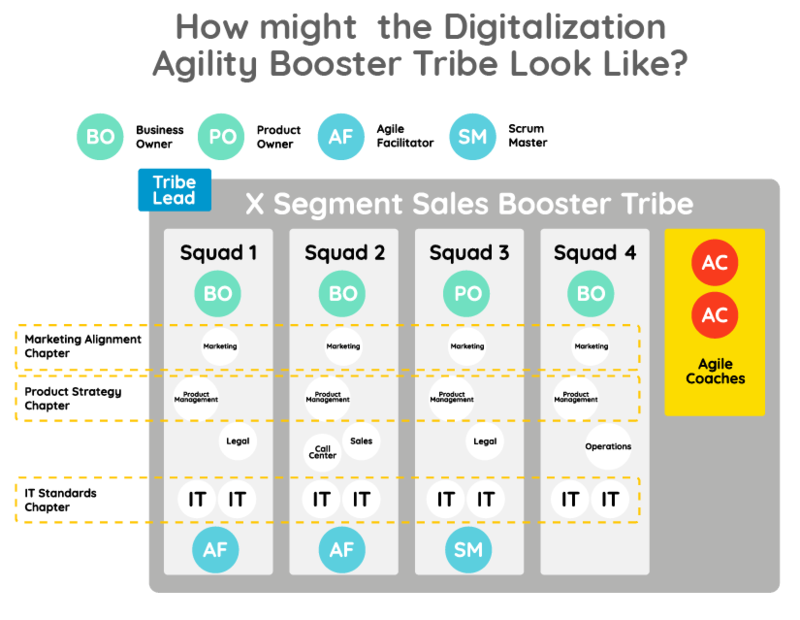 What is a Digitalization Agility Booster Tribe Programme?